With over 474 videos and 1,648 articles, IFA is dedicated to providing you with timely, data-driven information on the value of investing in index funds. 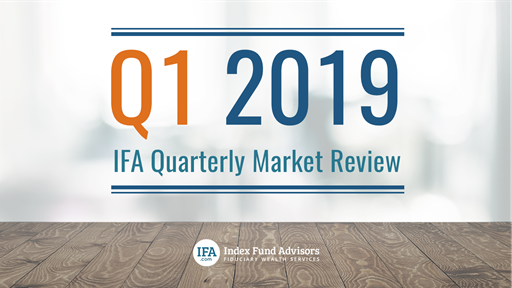 Mark Hebner summarizes the market's performance during the first quarter of 2019 and demonstrates the difficulty in picking the next asset class winner. Long-term minded investors shouldn't be surprised. Traders, however, could've been whipsawed by markets in Q1. As active investors bail, target-date index investors show resilience. John Bogle once described the practice of stock picking as “looking for a needle in a haystack.” But to make matters worse, even if you are lucky enough to pick a winner, there is no guarantee it will continue to succeed in the future…or even survive at all. Talk to an experienced Wealth Advisor about your investments. We help thousands of people a year and are ready to help you.